This post is sponsored by Fruity Pebbles. All opinions are 100% my own. This post also contains affiliate links. According to Face Britain, creating self-portraits can help kids learn more about themselves. Self-portraits are introspective craft where kids learn how to communicate how they see themselves via art. And self-portraits are a lot of fun to make! Making the self-portraits with Fruity Pebbles Cereal and Cocoa Pebbles Cereal adds an extra layer of sensory fun and creativity. 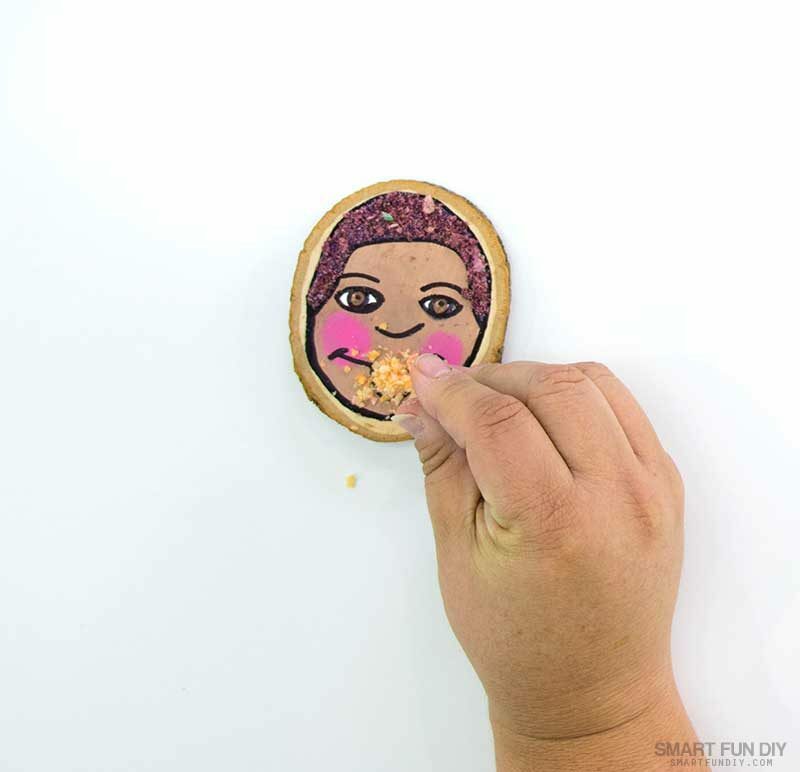 You can create these self-portraits for kids on all kinds of surfaces. I chose to use wood slices because they have a nice organic texture and are all-natural. You can also use cardboard, canvases, old plates, or any other round surface. You can even use the terra cotta saucers from terra cotta pots for a more authentic Latin feel to the project. You’ll also need a way to draw the outline of the face and a way to adhere the cereal to the surface. 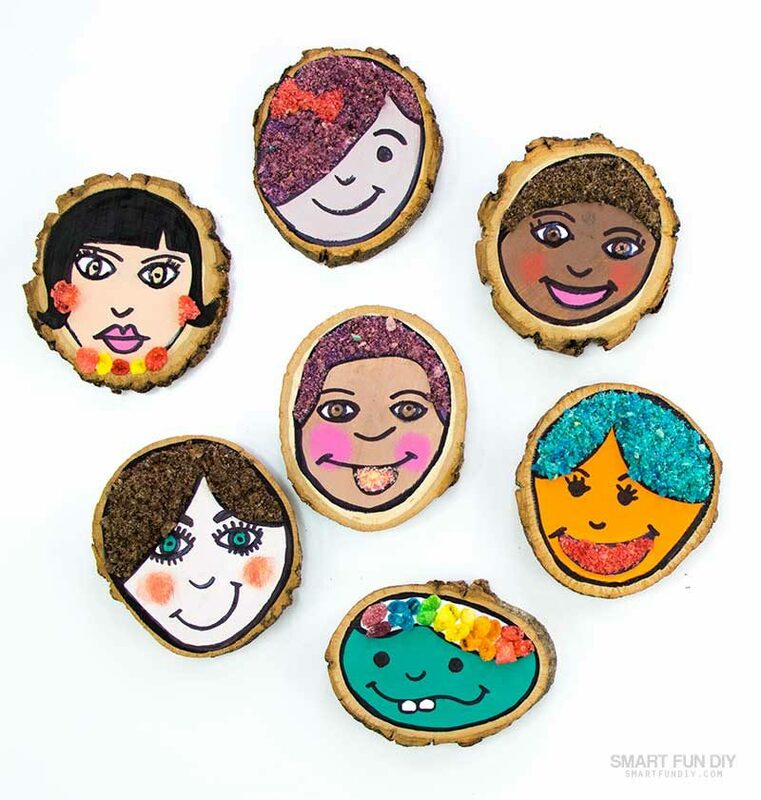 You can use a marker but don’t stop there … get even more crafty by using yarn, wire, or embroidery thread to “draw” the outline of the faces on the self-portraits for kids. Sketch the features of the face with a pencil. Then carefully trace the pencil with a marker or with glue and floss or yarn. If using floss or yarn, allow it to dry before the next step. If you are not sure how to draw the faces, download this Printable Self Portrait Template with ideas for how to draw faces. 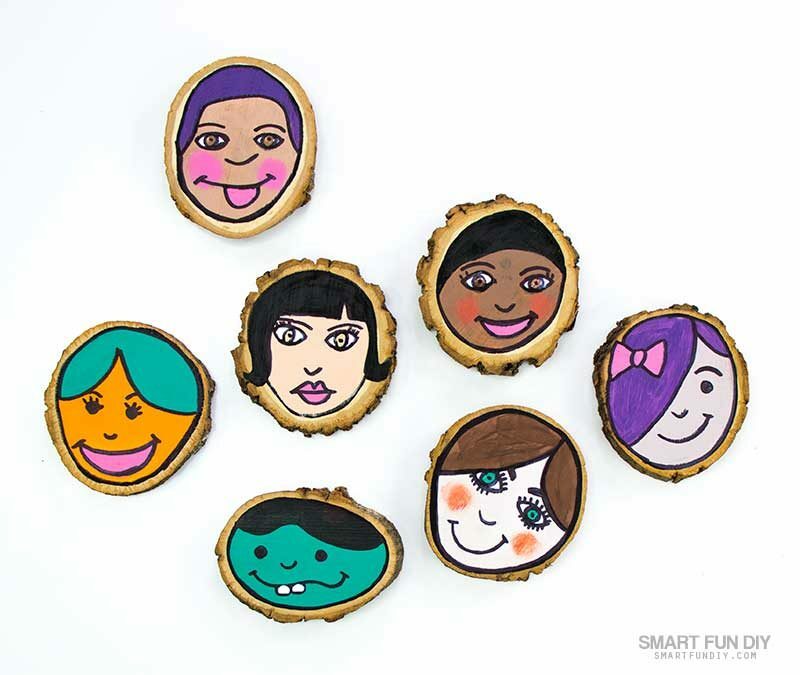 For more ideas on how to draw faces for your self-portraits for kids, check out this fun face jewelry from Jennifer Perkins. Paint the faces with acrylic paint and allow to dry. Trace the outline of the face with a black permanent marker. These are pretty cute but we're going to create more of a sensory experience by adding texture, color, and scent with Fruity Pebbles cereal and Cocoa Pebbles cereal. We used Fruity Pebbles Cereal and Cocoa Pebbles Cereal to “paint” the portraits and add texture. Separate the cereal by color. 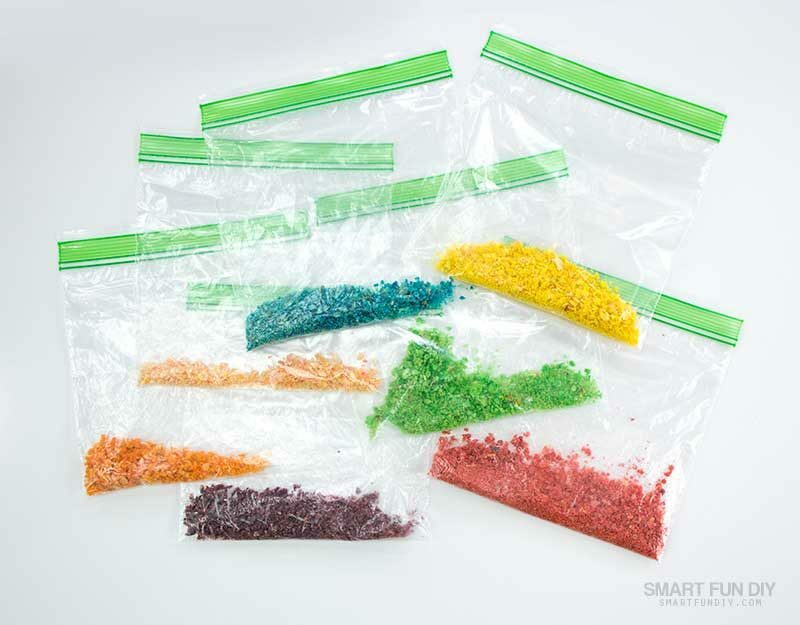 Then place each color of cereal into a zip top bag and crush it into a powder, about the consistency of brown sugar. Repeat with the Cocoa Pebbles cereal. Working one section at a time, fill each section of the face with a thin layer of glue. Use a stiff plastic paintbrush to spread the glue into the corners and edges into each section. Working with one color at a time, carefully sprinkle on the crushed Fruity Pebbles cereal and Cocoa Pebbles cereal to cover the glue in each section of the drawing. Apply a thick layer of glue. I used Tacky Glue because it dries more slowly and is thick and tacky, giving little kid fingers more time to work. Allow each section of the glue and cereal to dry. Then move to the next section and next color of cereal. Gently press the cereal into the glue, then allow to dry. 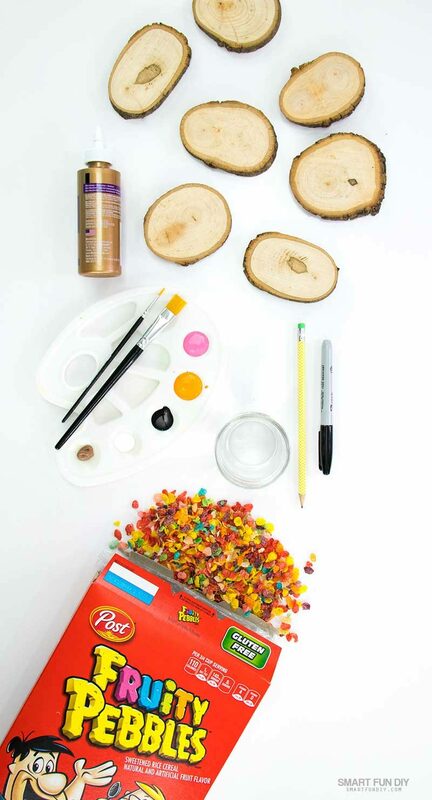 Once dry, use a dry paintbrush to brush away any particles of cereal still stuck to the wood. Tip: paint each section with acrylic paint before adding the glue and cereal. Use the cereal only on certain sections of the self-portrait to add texture and contrast. You can also use whole pieces of cereal to cover large areas or to create accessories like hair bows and jewelry. Apply a line of glue wherever you want the cereal, apply cereal pieces, press, and allow to dry. Rainbow hair for the win! 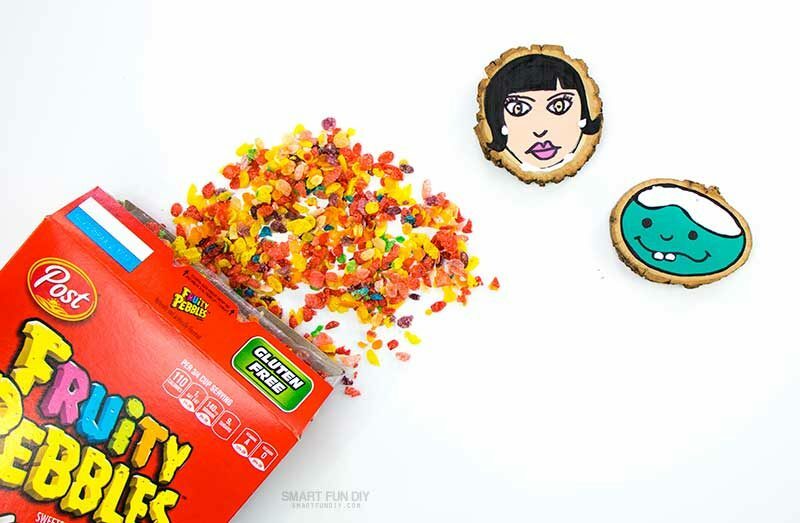 I love the way you can mosaic with the cereal … and projects like this are great for teaching kids better motor skills. 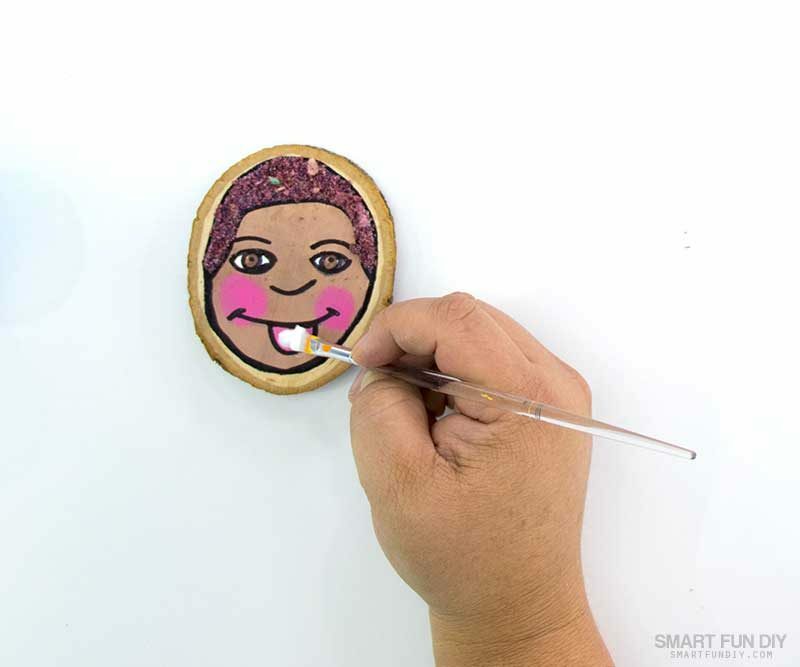 After the entire face on your self-portrait for kids is filled in and the glue has dried, add a hanger to the back or display on an easel. 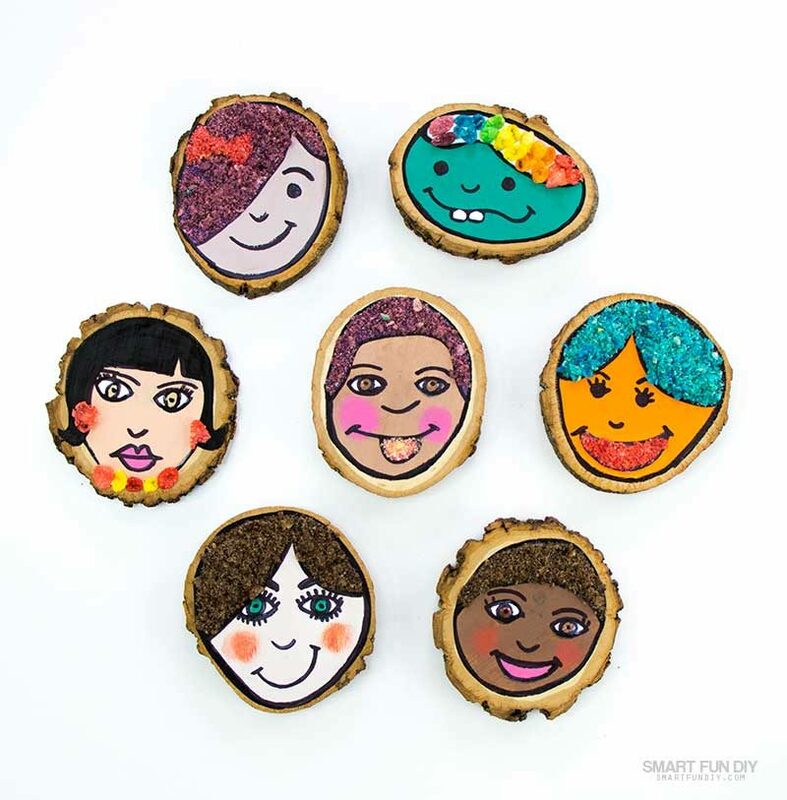 Ready to make your own self-portraits with the kids? Gather these supplies and let’s get started! If you don’t have a printer or have trouble drawing faces freehand, use coloring books! Decoupage a coloring book page onto the wood and paint or glue right over top of the coloring book page. Here’s how: use coloring books to paint faces and designs. I recommend using a paper plate or a paint palette for mixing the paint to make other colors, like this brush and palette set. 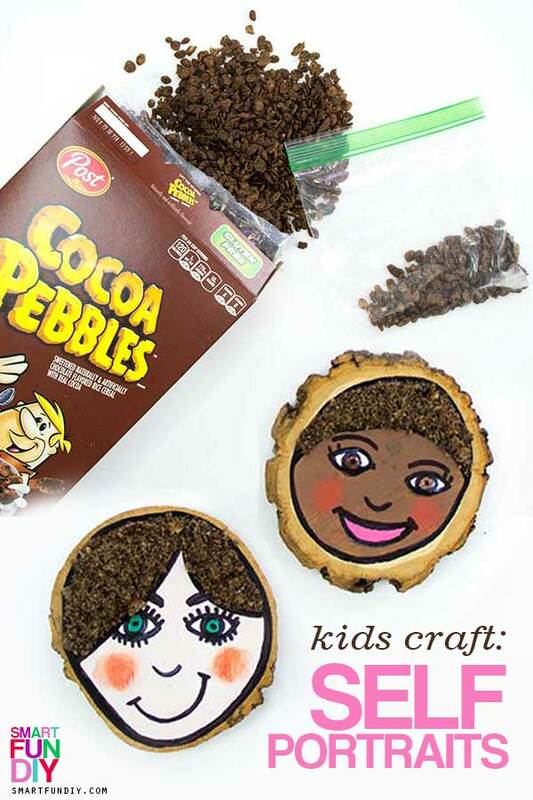 Why use Fruity Pebbles and Cocoa Pebbles for Crafts? Aren’t you supposed to eat cereal? 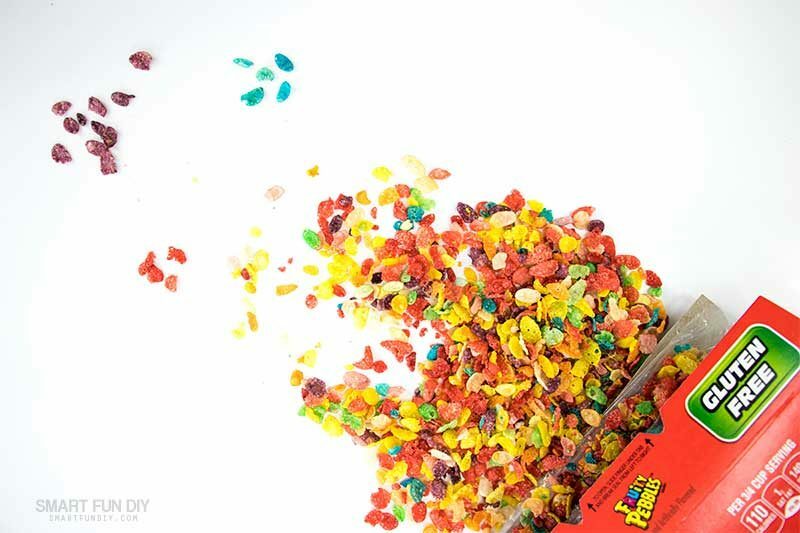 Yes, you can eat cereal but Fruity Pebbles cereal and Cocoa Pebbles cereal make for a unique creative experience. 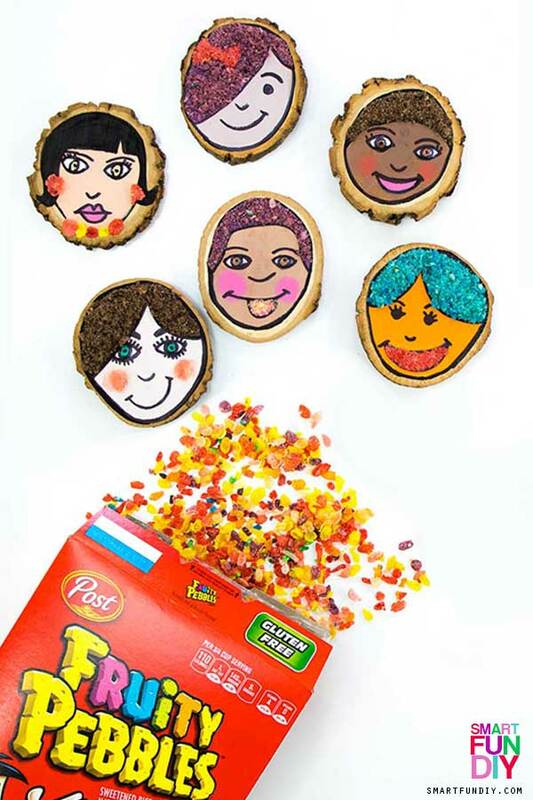 You can glue the whole Pebbles cereal pieces to projects to create a mosaic effect like we did for these self-portraits for kids. It’s easy for little fingers to handle and place the cereal pieces. Pebbles cereals can be crushed, like in this self-portrait for preschoolers project, to make a sand-like material. 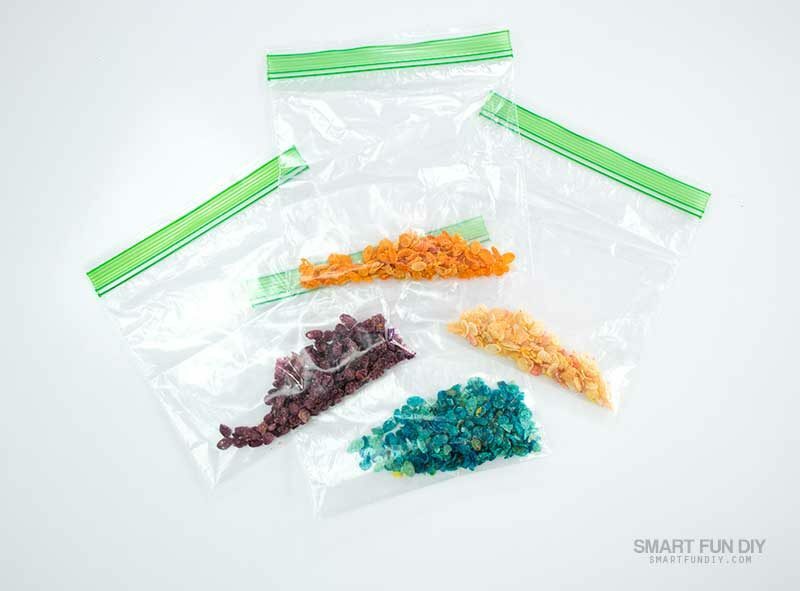 The crushed cereal can be mixed to create new color combinations beyond the standard Cocoa Pebbles cereal and Fruity Pebbles cereal colors, creating an opportunity to teach kids how to mix colors. Plus, Pebbles cereals smell yummy! 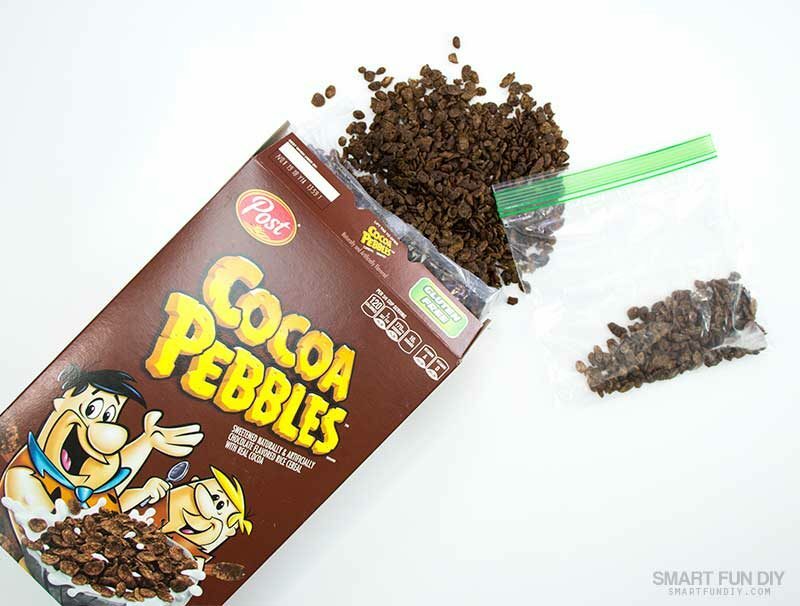 Kids love the fruity aroma of Fruity Pebbles cereal and the delicious chocolate scent of Cocoa Pebbles cereal. Or go with colored hair; it’s your self-portrait, so have fun with it! Join the #YabbaDabbaDoo Craft Challenge! What is Día Del Niño? Children's Day (El Día Del Niño) is celebrated in Mexico on April 30. In the US, we also have a Children’s Day on June 10. In Mexico, teachers and families honor children by playing games and music and sharing favorite foods together. A self-portrait for kids craft project is great in the classroom or at home. 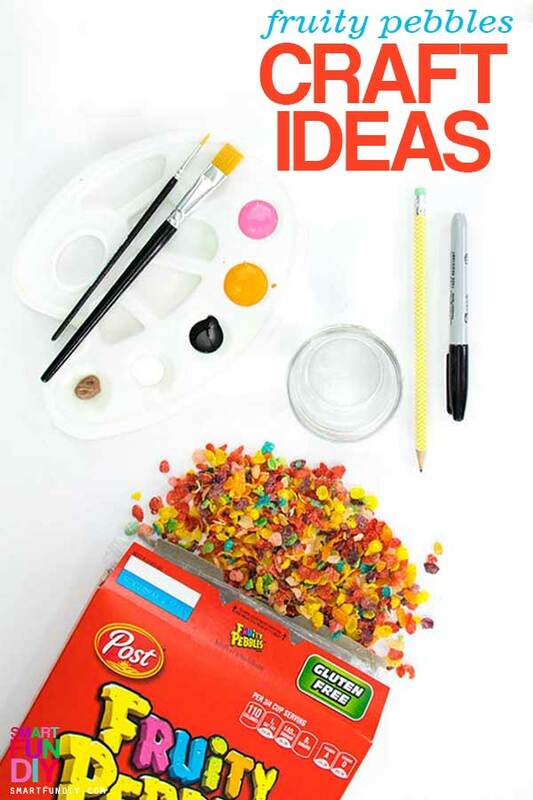 The kids will love the scent experience of using Fruity Pebbles and the color combinations they can create by mixing the crushed cereal are endless! 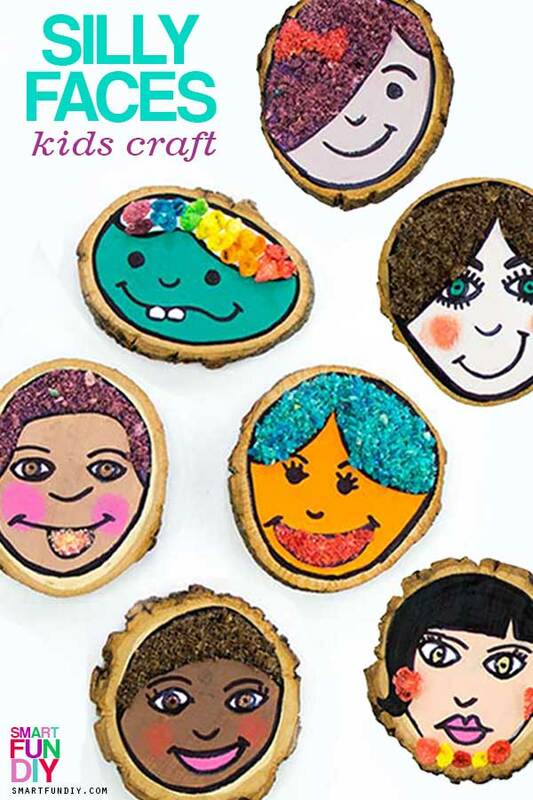 With this self-portrait for kids crafts, kids learn how to express how they view themselves as well as color-mixing properties. Mini Carna Asada and Calbacitas Tacos – my kids love these! 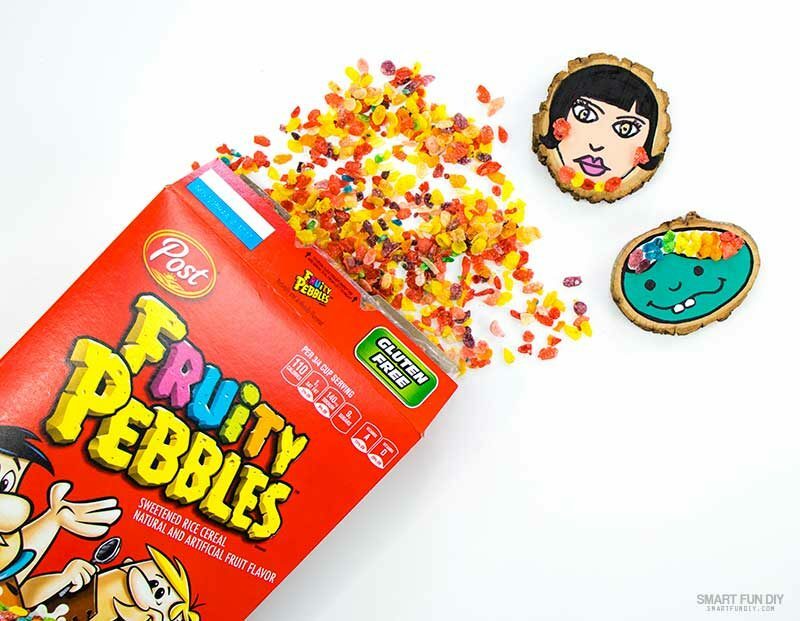 In the classroom or at home, you can celebrate Día Del Niño with this fun kids craft idea using Fruity Pebbles cereal and Cocoa Pebbles cereal! Leave a comment and let me know your plans for Día Del Niño. How do you celebrate? These are so stinking’ cute I LOVE them!!!! I want to add cereal hair to some of my faces now. Thanks for the shout out and the great idea.